Okay, so this is a little bit embarassing, for a couple of reasons. As I've noted here on Crime Watch, in recent times I've started to occasionally find myself on the other side of the interviewer-interviewee pairing, as I've been interviewed about crime fiction, particularly New Zealand crime fiction and the upcoming Ngaio Marsh Award for Best Crime Novel, for articles in some major newspapers and other publications. In the case of the excellent recent large features by Mark Broatch in the Sunday Star Times (read here), and by Philip Matthews in the Your Weekend magazine of The Press and the Dominion Post (read here), I was one of several 'voices' in the articles, which at least mitigated things (even if I felt a little like the proverbial donkey running the Grand National, given the company). 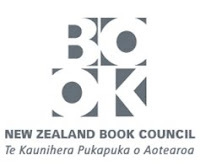 But yesterday another recent interview was published in the monthly e-newsletter the New Zealand Book Council send to all its members, and puts on its website. And this one was focused just on me and my thoughts/opinions. Gulp. 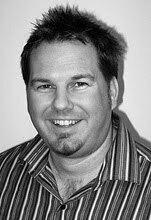 Not too far behind the scenes of New Zealand crime writing, you are likely to find Craig Sisterson, working (or should I say blogging) his magic. But who is the man behind the features, the interviews, the reviews, and blog Crime Watch? I trail him, just a little, to find out what makes this Kiwi Crime aficionado tick. I start by lurking in the background – what New Zealand Crime books lodged most memorably in your head? Read my interview in the e-newsletter here, and the full, longer version of the interview in the 'Readers Section' of the Book Council website here. Now, here's the really embarassing bit - those of you who clicked through to the e-newsletter (please give it a read) will have seen that this month the Book Council also had a short interview with #1 bestselling crime writer Peter James in the same issue, and yet they lead with my interview and had Peter James second! The world has turned on its head, I tell you. Don't get me wrong - it is great to get more information about crime fiction, particularly our overlooked but excellent Kiwi stuff, out there more and more, and I'm really grateful that the media is starting to pick up on what may be something pretty cool building here in New Zealand, but I'm still finding it a touch disconcerting to be the interviewee, and mixing in such company. After all, I don't really want any of this to be too much about me - more just the crime writers and their books etc. Although if I'm completely honest, it is a touch flattering, if also embarassing, to be considered a crime fiction 'aficionado'. What do you think of my interview in the Book Council e-newletter and on their website? What New Zealand crime novels were the first to lodge memorably in your head (they actually asked me what were the first Kiwi crime novels I remembered reading, then tweaked the question slightly in the published version)? Which 3-5 novels or authors would you recommend if you were giving friends a 'start here' list? Do you like meeting authors, or does that dissipate the magic of books for you? What are your thoughts on the growth, if any, in New Zealand crime fiction lately? I'd love you to share your thoughts. Please leave a comment. Good interview, Craig. It's funny being on the other end of the interview isn't it? I get so used to interviewing others I stutter and stumble when it comes to talking about myself. One of the first NZ Crime fiction novels I read was Simon Snow's Devil's Apple, which is set on the West Coast and I really enjoyed it. Crime fiction is alive and kicking in NZ, and your blog helps that! Yes, I actually bought DEVIL'S APPLE at the same time as EXEUCTION LULLABY several years ago. Unfortunately I didn't get around to reading DEVIL'S APPLE before I went overseas and sold most of my books. I managed to get my hands on a second-hand copy earlier this year though, so now have another chance to read it. I'm actually reading another West Coast-set crime novel right now, ASSIGNED TO MURDER by Trish McCormack, which you can get from Poutini Press or in some stores.